"Friendship of Nations" is the main fountain at the All-Russian Exhibition Center (VVTs). The VVTs was founded at 1939 as agricultural exhibition of Soviet Union. The Fountain has gilded statues of maidens in the national costumes of the sixteen Soviet republics demurely encircle a golden wheat sheaf. 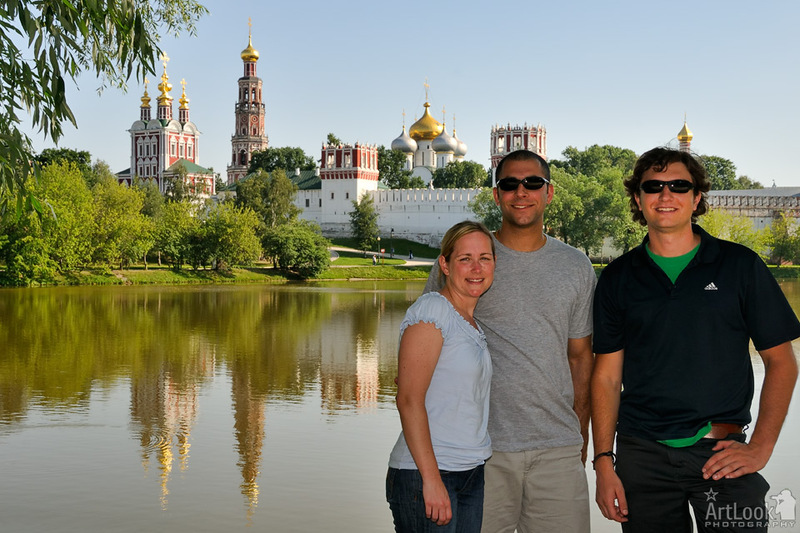 In June of 2010, my friends and I had a long layover in Moscow. We were hoping for a brief one day introduction to Moscow, yet Arthur gave us so much more. He was not only a comfortable guide, but incredibly knowledgeable. His knowledge of Russian and world history is incredible. As a history teacher, I was especially impressed with his attention to historic detail. One thing I appreciated was his efficiency considering our time constraints. We viewed the sights at our own pace, yet he seemed to know every trick when it came to getting in and out of a location and moving on to the next. Another aspect of his services that impressed me was his ability to speak excellent English. If we had a question, he had the answer, and there was never a conversation that was lost in translation. Without reservation, I highly recommend Arthur and his guide services. YOU WILL NOT BE DISAPPOINTED! Please feel free to contact me with any questions, or concerns you may have.